As summer comes to a close and fall quickly approaches, it’s the perfect time to winterize the lawn. With a little planning ahead, you can ensure next year’s blades spring forward with vibrance. Blow Out Sprinklers – Winterizing your irrigation system before the first big freeze can save several dollars. Even if water is drained completely from the system, a “blow-out” is key as even just a splash of water can freeze, expand, and cause damage. Here’s how to do this if you’re not sure. Mulch, Maintain & Water The Lawn – Autumn allows your lawn to strengthen it’s root system to handle colder temperatures. Watering and mowing helps nutrients get to them faster and mulch acts as an insulation layer to lock it in. Remember to mulch closer to winter though so rodents don’t use it to make a cozy hibernation home. Strategize Against Pesky Weeds – The best defense against persistent weeds is having a fall plan of attack. Typically winter weeds germinate in late September and early October. Fill patches in with grass prepare mix and top it off with weed control. Killing weeds now will prevent them from taking root come springtime! Perennial & Annual Prep – Give the yard nice winter curb appeal by replacing any annuals in the flower bed. Prune perennials to protect them from winter extremes. These two steps may seem tedious now but it will make clean-up a breeze when it starts to warm up again. Rake Leaves Regularly – Leaves left untouched for too long become slimy and attract insects. 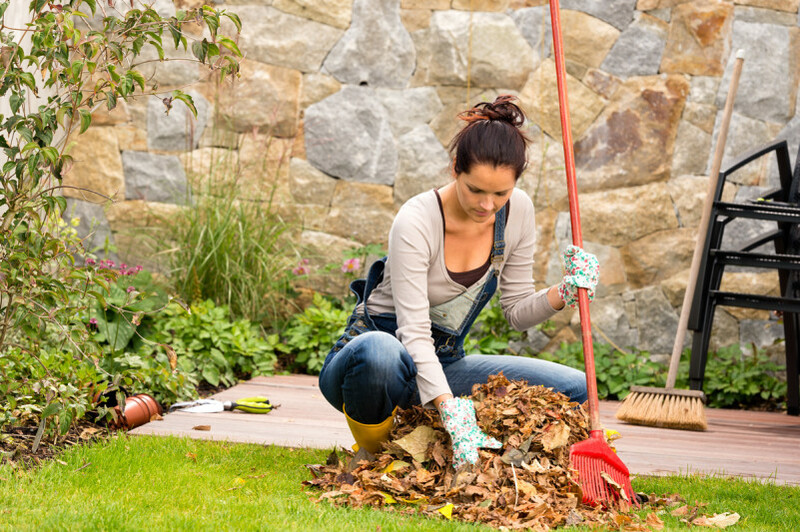 A standard rule of thumb is to remove leaves consistently as they fall to keep from handling one big foliage mess. Insulate Potted Plants – Don’t forget about potted plants. Show them some love by caring for their roots. Be mindful of drastic temperature changes which could cause shock. Insulate the roots using a blanket or placing the pot in soil rather than on a cement foundation. Properly Store Lawn & Garden Gear – Properly storing lawn items will prevent rust damage and the cost of purchasing new tools each year. Use a storage bin to keep items (especially metal based) out of the elements. Seasons change but following these tips will help you keep your property looking it’s best year round!